Happy National Pistachio Day! If these little green nuts aren’t already one of your favorite snacks, you may want to change your mind. 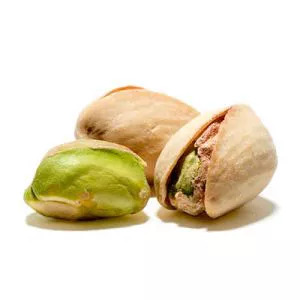 For their small size, pistachios pack quite the nutritional punch with almost as much potassium as a banana. They are also rich in the antioxidant lutein, which is important for healthy vision and skin. Happy National Pistachio Day! If these little green nuts aren’t already one of your favorite snacks, you may want to change your mind. For their small size, pistachios pack quite the nutritional punch with almost as much potassium as a banana. They are also rich in the antioxidant lutein, which is important for healthy vision and skin. What's more, pistachios are the lowest calorie nut. Pistachios make a great addition to a morning parfait or to jazz up toast and chocolate-dipped marshmallows rolled in pistachios are a deliciously easy dessert. So celebrate this superfood today, either as a snack or in one of these tasty recipes.